Join Alberto Calderon, CEO, Orica as he shares is knowledge on 'Business and Government Leadership in the Digital Age'. Technological disruption is striking deep into Australia’s industrial and manufacturing heartland. The result is a confronting landscape, where the first movers and early adopters of emerging technologies, that create safer, more efficient and seamless inter-connected global operations, will earn the opportunity to succeed and those who don’t will almost surely fail. Technological disruption is striking deep into Australia’s industrial and manufacturing heartland. The result is a confronting landscape, where the first movers and early adopters of emerging technologies, that create safer, more efficient and seamless inter-connected global operations, will earn the opportunity to succeed and those who don’t will almost surely fail. This dynamic presents unprecedented new challenges for Australian business leadership. The harnessing of meta-data, AI and digital atomisation are now mission-critical business decisions that management, boards and investors ignore at their peril. Survival will depend on Australian businesses developing a clear capability edge over their international peers to maintain competitive advantage and to offset high local production costs. In the future, we will need to lead and fund technological advancement and invest in the horizontal integrations made possible by A.I. and meta-data. Orica is an excellent example of the possibilities. Managing these changes is a challenge that governments must also embrace. Policy settings that foster innovation and underpin the R&D activities of business are an essential pre-requisite for future manufacturing success. More broadly, Governments have a clear obligation to ensure economic transitions minimise social disruption and economic displacement, and that prosperity and growth is sustainable. Meeting this challenge should be at the forefront of the in-coming federal government’s long-term policy agenda. Alberto was appointed CEO of Orica in May 2015. He has been a Board member of the company since 2013. Alberto’s executive experience includes leadership roles across the mining, petroleum, energy and electricity sectors. Prior to joining the Orica Board, Alberto was an executive with the world’s leading diversified mining company, BHP Billiton. 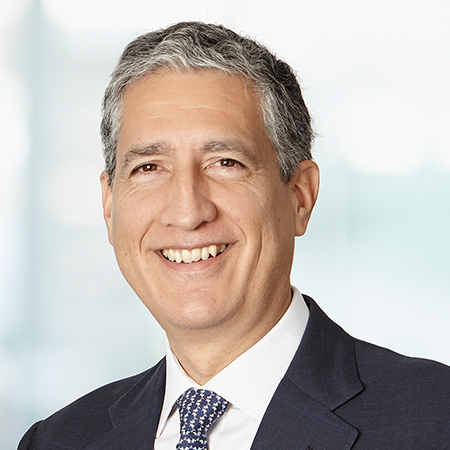 During his time with BHP Billiton, Alberto held a number of key leadership positions, including Group Executive and Chief Executive Aluminium, Nickel and Corporate Development (2011 – 2013), Group Executive and Chief Commercial Officer (2007 – 2011, with responsibility for acquisitions and divestments, marketing, supply and information management) and President Diamonds and Specialty Products (2006 – 2007). Alberto was also Chief Executive Officer at Cerrejón Coal Company, an integrated thermal coal mine in his home country of Colombia (2002 – 2006), and at the Colombian oil company, Ecopetrol (1999 – 2002). Prior to this, Alberto held senior leadership positions in the International Monetary Fund and the Colombian government, and has been a Board member of a range of private, public and non-government organisations. He holds a PhD in Economics, a Master of Philosophy in Economics and a Master of Economics from Yale University, a Juris Doctor in Law and Bachelor of Economics from Andes University in Colombia. Orica (ASX:ORI) Orica is the world’s largest provider of commercial explosives and innovative blasting systems to the mining, quarrying, oil and gas and construction markets, a leading supplier of sodium cyanide for gold extraction, and a specialist provider of ground support services in mining and tunnelling.